Your article is very accurate how soccer has evolved. I witnessed the same evolution. I started playing soccer when I was back in Michigan got hooked when I saw a video of Pele in the World Cup. No one ever heard of soccer, and I literally was in that same meeting you describe in the article. I was coached for free by an Englishman, and soon my dad was an assistant. However, what I was most interested in but didn’t get was your opinion: What’s your take on this? Have the changes over 30 years been mostly positive or mostly negative? What should happen over the next 30 years to make it better? More children are registering to play. More coaches are making their livelihood coaching. More referees are being paid for their skills. More administrators receive a salary to administer. More fields and complexes are being built. More games are being televised. More of everything needed to grow the sport is available. But how did these changes come about? 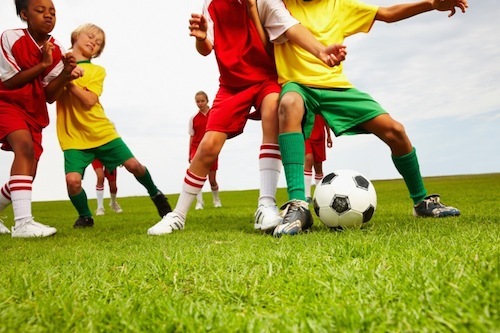 Youth soccer has become an increasingly expensive sport. Today, the cost for even recreational teams has risen dramatically, as parents are asked to pay for better equipment, higher insurance costs, better fields, increased league fees, coach training and certification, etc. I go back to when every child that signed-up in the past was automatically on a team as long as someone “volunteered” to coach them. Today, the number of teams that can be formed many times depends on the amount of money that can be raised through registration fees and fundraisers. Of course, with more money involved, there is more influence from the pros in the sport, especially directors of coaching and foreign coaches, whose jobs are impacted by their success. This type of competition sometimes drives those who are in it for fun out, as does the over-emphasis on winning and results in order to obtain those elusive college scholarships. Simply put, the obligation is on the more accomplished players, coaches and teams to help others and to do what they can to see that they are enjoying themselves. Rank has its privileges but also its responsibilities. Even though there are more possibilities for those who want to play youth soccer now than ever before, 75 percent of children between the ages of 10 and 14 playing soccer drop out every year. There are clearly some issues we need to work on, and here are some ideas for bringing the fun back in youth leagues. Regulating the number of hours a player can participate in organized activities. Lay out from 1 vs. 1 to 4 vs. 4 fields. Honoring their commitment to each player for that season regardless of the players playing progress. Honoring their commitment to the team for that season. Parents need to understand that there are no shortcuts to becoming a successful player, that playing on successful teams does not guarantee personal success and that playing on mediocre teams does not result in personal failure but that the establishment of a well-planned practice, training, competition and recovery regime can help. They need to teach their child how to honor their commitments to the coach and teams for that season. Our players are given only one childhood. The outcome of our children is infinitely more important than the outcome of any game they will ever play! Koach Karl (Karl Dewazien) was the state director of coaching for the California Youth Soccer Association from 1979-2012, is the author of the internationally published “FUNdamental SOCCER” books series and is producer of the highly acclaimed “9-Step Practice Routine” DVDs. You can contact him at [email protected].